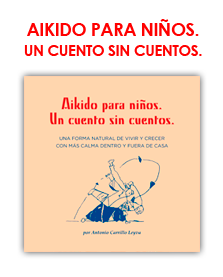 ← INVITACIÓN LIBRERÍA FÁBULA (Alcorcón, Madrid) CONFERENCIA: ¿CÓMO MANTENER LA CALMA Y GESTIONAR LA ENERGÍA CUANDO VIVIMOS O TRABAJAMOS CON NIÑOS? Un proyecto precioso, moderno y diferente!!! 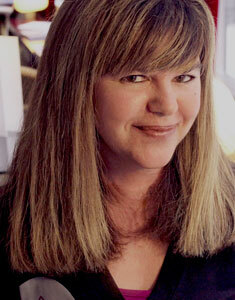 We would like to introduce Ana Roa, our resident psychologist, specializing in child education & family counselling. She is a mother of two, and understands perfectly what raising children is all about, and how this affects our relationships with our partners, beyond her expertise. We asked her a few questions so you could all get to know her a little better. Why did you decide on this career? Because I love the world of education, and the understanding of human beings from birth. Education is a discipline that allows us to participate in the development of people in a special way and teaches us that each person is unique and unrepeatable. How has becoming a mother changed you? Being a mother has enriched me as a human being and made me change. It’s meant that I no longer belong solely to myself, but also to my children. It´s a major split in the woman, sharing an identity from which you were the sole owner before having your baby. They are dependant on you. As a mother, what has been the most difficult stage? Surely the beginning with my first child. It’s a crucial time when you are physically and psychologically weak because you just gave birth. You are venturing into the unknown, a new life, and learn based on trial and error. As a professional, what have you done to reach a balance between your family and your profession? What advice could you give us? First of all, you are still a woman, not only a mother. As a woman you are entitled to have your own territory and yours alone. You must respect this space yourself, in order for others to respect it. From that point on everything is easier. If you love your profession and are a fighter, your family will be a pillar of support, never an obstacle. Many working parents feel guilty when leaving their children in daycare or with caretakers, grandparents, etc. Are we doing wrong?Do our kids feel abandoned? And most importantly, will it have a negative effect on them in the future? Guilt is one of the most destructive feelings and the most present in parents who work outside of the home, especially in working mothers, who until recent history were mostly the caretakers of the family. If the baby/child is in good care we shouldn’t agonise over it. The first steps are the hardest because we feel we are abandoning, but I repeat, that is our feeling, and not the reality. If we know how to delegate our role and feel confident in doing so, everything will be fine. The problem is convincing yourself otherwise. Tell us the big differences between parenting 20 years ago to now? Some changes for the better or some for the worse? The big difference is the rapid social change that we are living. The evolution of women entering the workforce, in positions of responsibility in organisations … all these factors generate large amount of stress, hence the resignation of many women to continue working outside the home especially when the second child arrives. As we continue to dream of family conciliation, there are many companies and organisations that make it a reality. My opinion as a mother and workingwoman or vice versa is positive, the potential of women, once so hidden, must come to light, as it is happening. What is the most common mistake you see parents make? The failure to educate with common sense and set limits, how to say “NO” to the children. What is your best advice for parents? Dedication, love and lots of patience. Educate with autonomy, respect and responsibility, we must reclaim these values as they are​​ forgotten in today’s society. Advice for couples? Recover spaces that are for the two of you, your bedroom, for example, and enjoy unique moments together. The relationship becomes meaningless if it is not fed by each other. 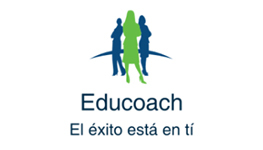 What is an area of ​​your profession that interests you and would like to advise more about? I am currently immersed in education and emotional development. My second book will deal with this issue. Something you would like to tell your parents now that you are one? Thank you for loving me as I am, never failing me. Thanks for understanding me, thank you for giving me wings which to fly from the nest and giving me strong roots that support my day to day. Thank you, because when you’re a mother you know what it is to really LIVE and you have given me that opportunity. 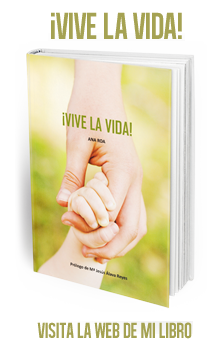 Educationist specialised in child psychology & Family counselling and the author of “Vive la vida”, living in Madrid Spain. Ana a wife & mother of two, provides a professional point of view on raising our children & how to improve our relationship as a couple. 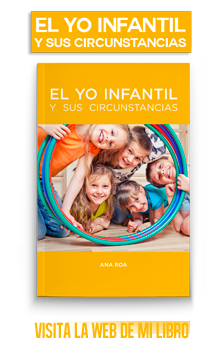 Esta entrada fue publicada en ARTÍCULOS TRADUCIDOS y etiquetada advice, ARTÍCULOS TRADUCIDOS, CHILD PSYCHOLOGIST, MODERNPLAY MAG, REVISTA ON LINE. 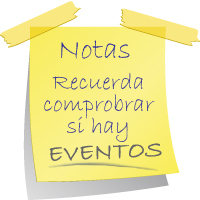 Guarda el enlace permanente.